International architectural practice S333 Architecture + Urbanism has been selected together with Zaha Hadid, KCAP, West 8 and Ezquiaga to develop proposals for new a masterplan for the Bay of Pasaia, Spain. 47 teams applied for the competition including Oriol Bohigas, Richard Rogers, FOA, MVRDV, BIG, Dominque Perrault and Estudio Lamela. The five teams have four months to submit their proposals. Each team will receive a prize of 50,000 euros and the winner 150,000. S333s design team includes landscape architects Balmori Associates (New York), environmental consultants Battle McCarthy (London), technical consultants Lantec (Bilbao) and socio-economic consultants IKEI Research (San Sebastian). 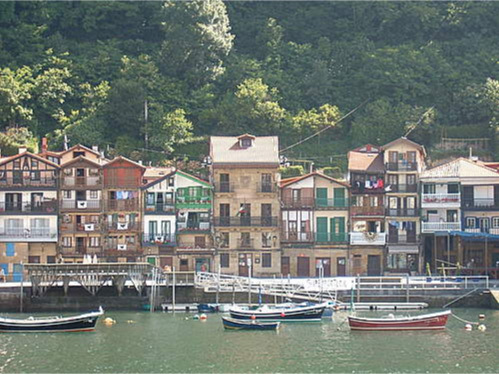 In this context of priority activity for the region, Gipuzkoa Aurrera, the institution formed for the development of strategic projects for the Territory by the public and private bodies which are the Provincial Government of Gipuzkoa, Chamber of Commerce, Industry and Navigation of Gipuzkoa, Kutxa, Grupo Mondragón and Adegi, organised a tender to allow for reflection on a key area in the society and economy of Gipuzkoa. The approximate surface area released in the bay area by transfer of the port is 68 Ha. The complexity of the area, its position on the sea front, the relationship with the existing urban centres which belong to four different municipalities and, above all, the opportunity for development in the centre of the conurbation known as the Bayonne-San Sebastian Basque Eurocity, makes it necessary for there to be a Masterplan which contains the reflections and guidelines common to the entire area surrounding the bay. Delivery of the preliminary draft masterplans by the five teams is planned for January 2010. The competition jury includes representatives of the Chamber of Commerce, the county council, the municipalities involved through Eudel, the Basque government, state administration and the regional College of Architects.